The HexaTrust cluster is now reinforcing his structure with a new offer proposed by TrustInSoft, assumin a large expertise in information security systems, cybersecurity and digital trust. 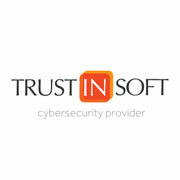 TrustInSoft unique value proposal is the ability to provide guarantees on safety and security of the software. Joining HexaTrust now leverages this value proposal in a more integrated offer, reaches more customers.